I caught him red-handed, or peanut-butter-and-jelly-handed to be exact. I’d walked out for a brief moment to put something away and returned to find him pushing his plate under the kitchen island. “I will not raise picky eaters,” I’d always said. That was before I met my match in toddlers. We’d started out so well—I’d ground my own millet for rice cereal and pureed the whole produce department. As soon as we moved into finger foods, though, my kids became perniciously picky. Thus began our many meal-time standoffs. 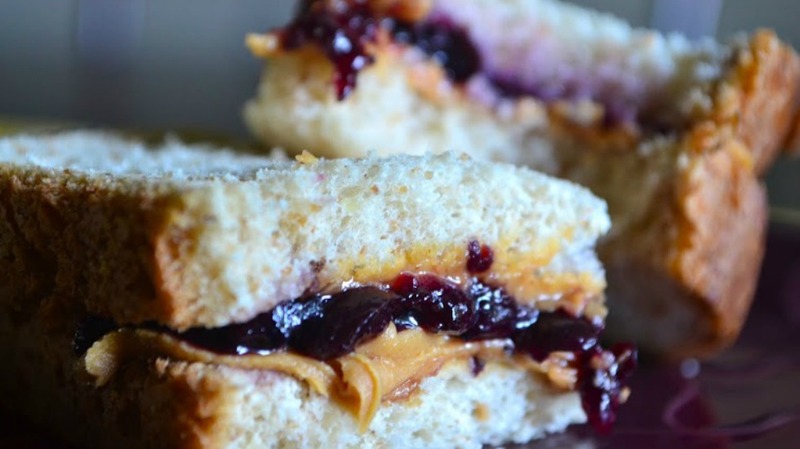 That day, the stalemate was over a tiny triangle of the all-American toddler food, PB&J. I mean, I wasn’t requiring him to eat asparagus or sushi, just eat an inordinately small portion of the easiest kid food in history. But he wasn’t having it. When I walked into the kitchen and caught him in the act, I wept. While some of the emotion could’ve been chalked up to exhaustion, for the most part the tears flowed because I had a profound moment with the Lord. There he was, in the midst of his rebellion and deceit, and here I was, brokenhearted as I saw the propensity of his little heart toward sin. I wasn’t even so much mad as I was saddened by the breach in our trust—that a silly untouched PB&J triangle had led my son to deceive me. So right there, in the midst of his disappearing sandwich act, I gently called his name with tears rolling down my cheeks. I embraced him tightly and told him I loved him. Consequences were coming, yes, but in that moment I was overcome with affection. My son was caught in the act, but even more so he was called in the act. An old memory verse suddenly took on new meaning: “For while we were still helpless, at the right time, Christ died for the ungodly” (Rom. 5:6). God has a knack for calling people in the act of eagerly running and scrambling to deceive him. It seems to be his M.O. “Now Saul, still breathing threats and murder against the disciples of the Lord” (Acts 9:1) is the verse that sets the stage for Paul’s dramatic conversion on the road to Damascus. Saul was executing a murderous plot against the true people of God when the Lord spoke his name, launching a relationship that would change the course of his life. Called in the act. Likewise, the Jewish traitor Levi was extorting God’s people when it happened: “As Jesus passed by he saw Levi the son of Alphaeus sitting in the tax booth, and said to him, ‘Follow me’” (Mark 2:14). Called in the act. Jacob, the patron saint of deceivers, was on the run from a wronged father and brother when he encountered the Lord in Genesis 28. Called in the act. Calling sinners in the act isn’t just God’s M.O. for initiating relationship with those he loves; it’s also the way he often works in sanctifying them. Peter, in the act of betraying his rabbi and Lord, was exposed. Yet his betrayal wasn’t met with shame and a pointed finger, but a fish breakfast with a forgiving Lord who summoned him to shepherd God’s flock (John 21:9–17). David, the great king of God’s people, was caught in the act multiple times—first in adultery and a premeditated murder plot, then in his haste to take a self-glorifying census. Both times, when caught in the act, David was also called in the act—called into a deeper knowledge of sin and God’s forgiveness (Pss. 32; 51; cf. 2 Sam. 12). When I caught my stubborn little fella jelly-handed, I learned something that deeply affected me. Whether we’re caught looking at something we shouldn’t see, spending when we should be saving or giving, talking about someone when we should be talking to them, or in a myriad of other evil webs we weave, one fact remains. Whenever we’re caught in the act, there’s also an opportunity to be called in the act—called by our name, called to the cross, called to deeper distrust of our hidden sins, called to more intimate knowledge of the Father’s forgiving grace. Aimee Joseph works alongside her husband, G’Joe, who directs Campus Outreach San Diego. They love watching college students brought from lost to leaders through Christ in the church for the world. Parenting three little boys keeps her busy; writing on her blog and studying the Word keep her sane. She has a passion to see women trained to love God and his Word. Christian Life Is Paradoxical. Embrace It.